"Flap-Snaps". 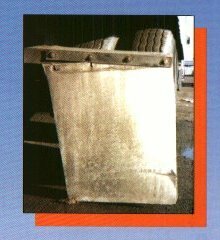 A re-attachable mud flap hanging system. 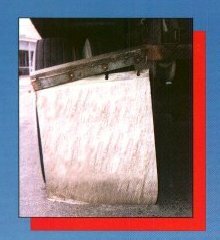 This low cost system fits on virtually all trucks, tractors and semi-trailers. 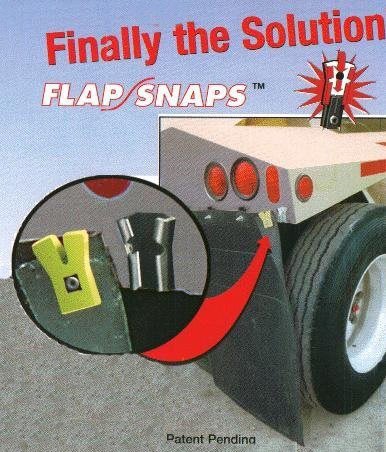 "Flap-Snaps" are small, light weight and undetectable when installed. They are manufactured in the U.S.A. from zinc plated 13 gauge steel and high quality polyurethane. 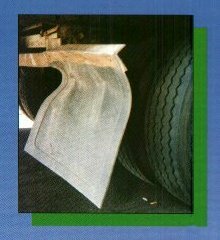 With "Flap-Snaps" installed mud flaps, hangers and brackets are not damaged when a mud flap is pinched between the curb and tire while backing up. 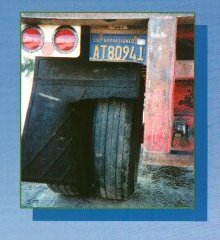 You simply reattach the mud flap without tools, reducing down time and labor costs. Discounts are offered for bulk orders.